Karen approaches her real estate career from a strong business acumen and prides herself in being a top negotiator while also possessing great compassion for her clients’ needs in buying and selling properties. She has a diverse background in business having held executive positions with private & public companies. She also owned and operated 4 travel companies from 1985 through 2001 which allowed her to visit 5 of the World’s continents. 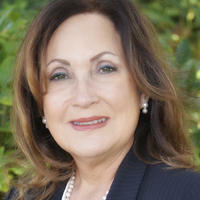 Karen devotes 100% of her time to the Real Estate business and is unique in that she services most of South East Florida, namely: Palm Beach County, Broward County and Miami-Dade County. While Karen can sell real estate anywhere in the state of Florida, she focuses most of her attention on the cities of: Boca Raton, Highland Beach, Delray Beach, Fort Lauderdale, Aventura, Miami Beach and Coral Gables. Karen believes in full service before & after the sale. She possesses the highest degree of integrity and is a true expert in her field. She holds many real estate designations including: Broker, Certified International Property Specialist (CIPS) Transnational Referral Certificate (TRC) and Certified Distressed Property Specialist (CDPE). Karen is a member in good standing with multiple boards of Realtors, Florida Association of Realtors & National Association of Realtors.